Srsly – where did August go. It feels like I started my new job seconds ago and now I’m into my fifth week already. Total madness. 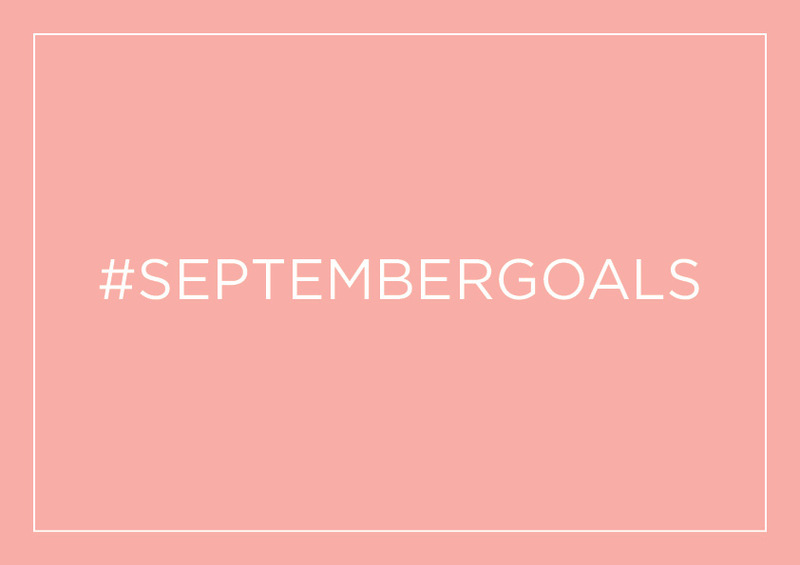 September is a big month, so with that comes some big ol’ goals. Here’s what’s on the agenda this month. Usually I’d be saying “Complete the GNR in X time” but I’ve got to say, I’ve been a bit injured so that PB is looking a bit unlikely. Instead I’m just going to go and run. Enjoy the day, the crowds and the route and not beat myself up if I don’t get a certain time. Sometimes you’ve got to take a step back and just do your best. I love a good spa day. Mum and I usually head to the beautiful Headlam Hall for our spa days and I’m adamant to get the next one booked in. I have a knotty back, goddamn it. I always see these days as a good recharge session, and as me and J aren’t going away for a long stint this year (apart from camping in the Lakes this weekend, hurrah! ), a spa day will be the perfect little get away to ease though no-holiday blues. With training, changing jobs and planning a wedding, I haven’t had much time for myself to do things I love. I know that saying goes “if you truly love something, you’ll make time” but I literally do not have anymore time I can spare at the moment. Work is busy, I’m out most nights at the gym or with my pals, and weekends are spent running, doing housework an catching up on sleep. September will be about getting to grips with my nutrition course and doing some serious blog TLC. I have more items in my ASOS Save for Later list than I care to mention (I’m sorry, it’s an addiction). September equals pretty-much-the-end-of-the-year in my book and I’ve already been rocking one of my winter coats and we’re only 3 days into September. To kick off the autumn/winter wardrobe, I’ve got my eye on some Russell and Bromley boots which may well be making an appearance on this blog very soon. They’re just so damn beautiful. What are your goals for September? What’s on your Autumn wardrobe wishlist?